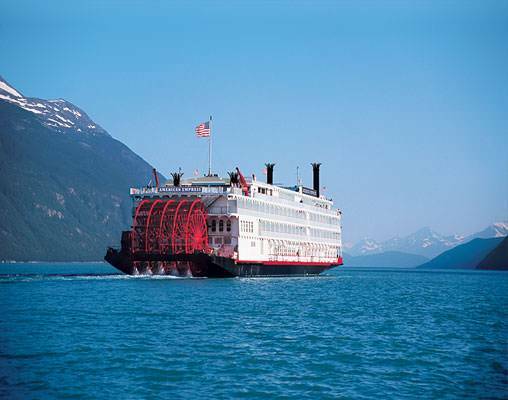 Embark on a rail and river cruise adventure following the path taken by explorers Lewis and Clark in 1805. 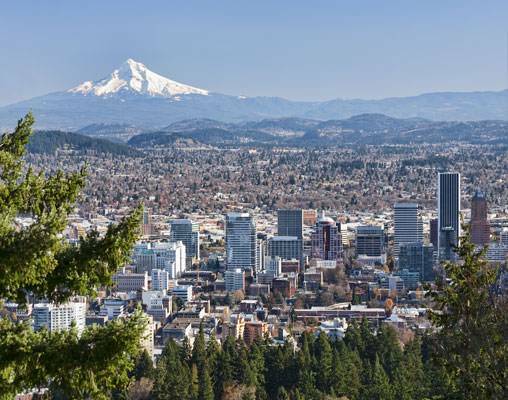 Beginning in Chicago, board Amtrak's Empire Builder train for the storied 2-night journey across the northern prairies into Big Sky Country, ending in Portland, Oregon. Explore the “City of Roses” during a short city stay before boarding the American Empress, your floating boutique hotel for the journey into the heart of Washington's wine country. 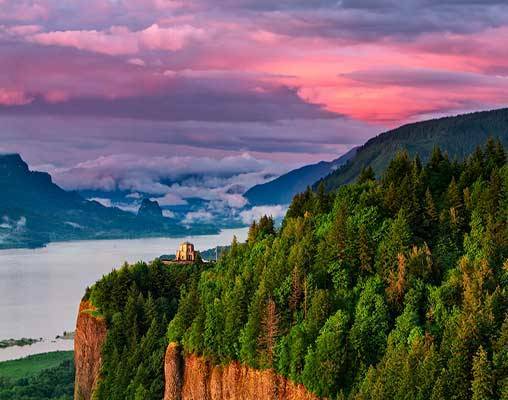 From Portland's lovely International Rose Test Garden to the hallowed artifacts on the Nez Perce Reservation, the region comes to life. 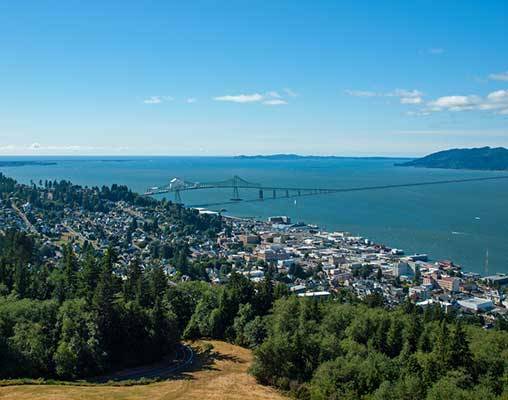 Tour a millionaire's Victorian home in Astoria, Oregon and marvel at the engineering achievement of the Bonneville Dam. Whether you choose to take in the scenery from Mt. Hood's Timberline Lodge nestled among the pines or climb a lighthouse to view the expansive Pacific, a voyage on the Columbia and Snake Rivers will show you the world from a new perspective. Day 9– Tri-Cities (Richland), WA. Home to the U.S. Fish and Wildlife Service's first national monument, Richland is a city dedicated to preserving its unique history, culture and landscape. During our day in port, you can embark on two included tours: Sacajawea State Park and Franklin County Historical Society and Museum. 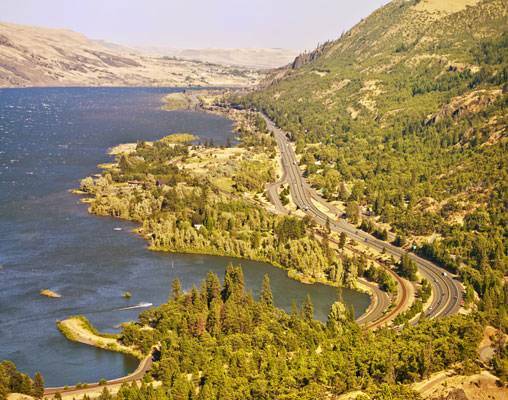 The Sacajawea State Park marks a significant point in American History. Guests can explore the Interpretive Center on the Park grounds which feature the history of Lewis and Clark. The on-site exhibits and a knowledgeable presentation at 10:00 am and 2:00 pm will highlight the history on this site and focuses on the Core of Discovery's voyage from modern-day Illinois to these grounds with the helpful guidance of their Native American interpreter, Sacajawea. A full day of sightseeing awaits when we dock in Clarkston. This morning, experience the history and culture of the Nez Perce people as we travel to the Nez Perce National Historical Park. Learn about the historic and present-day way of life of these Native American's whose name is derived from the French “Pierced Nose.” The Nez Perce people are well known for their involvement and assistance with the Lewis and Clark Expedition, and guests can learn first-hand how they were trusted by the Corps of Discovery through an exclusive presentation by the staff of Nez Perce National Historical Park. Amtrak accommodations are available in Roomette and Bedroom. Roomette accommodations include a private cabin that features two comfortable seats beside a picture window during the day, which converts to an upper and lower berth at night. Bedroom accommodations feature a sofa and chair by day and upper and lower berth by night. Bedroom accommodations also include a sink and self-enclosed toilet and shower. 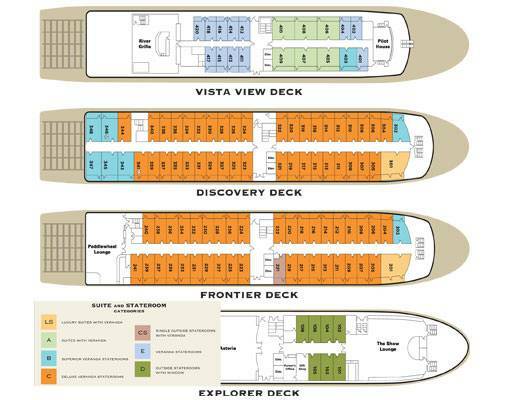 Accommodations onboard the American Empress range from Inside Cabins featuring single beds and bathroom with shower, Outside Staterooms with bay window or veranda, to Luxury Suites featuring a private veranda. 26th April 2019 $7,142 Please call for availability. 26th April 2019 $7,789 Please call for availability. 26th April 2019 $4,500 Please call for availability. 26th April 2019 $4,910 Please call for availability. 26th April 2019 $4,616 Please call for availability. 26th April 2019 $5,026 Please call for availability. 26th April 2019 $4,732 Please call for availability. 26th April 2019 $5,142 Please call for availability. 26th April 2019 $6,238 Please call for availability. 26th April 2019 $6,648 Please call for availability. 26th April 2019 $6,818 Please call for availability. 26th April 2019 $7,228 Please call for availability. 26th April 2019 $9,946 Please call for availability. 26th April 2019 $10,356 Please call for availability. 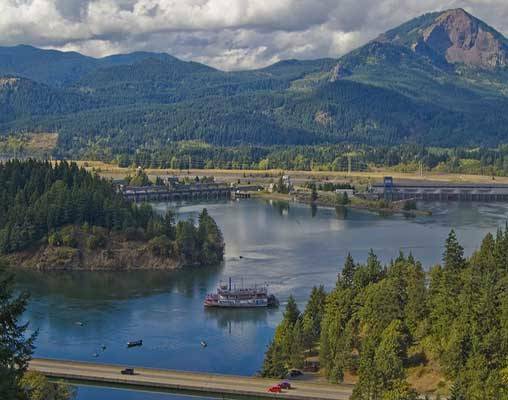 Enter your details below if you would like to be notified when 2020 dates and prices are available for Pacific Northwest and the Columbia River Cruise. Prices are land-only, per person. Prices are correct at the time this web page is published; however, are subject to change. Vacations By Rail can supply connecting rail from your closest Amtrak Station.